Now that it’s tax time, you are probably thinking about how you will prepare your taxes. 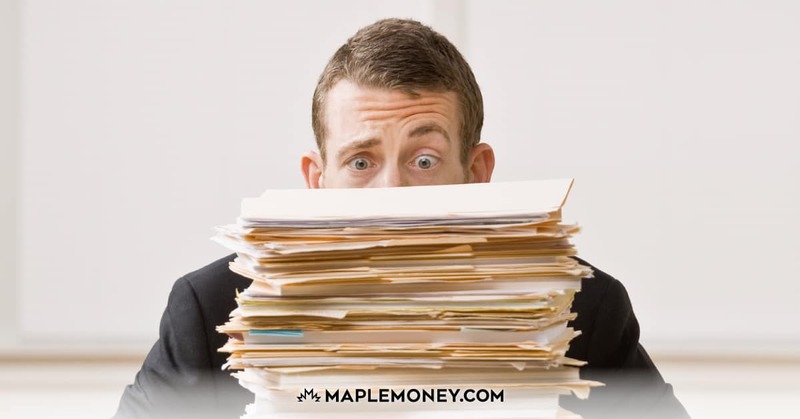 While some Canadians with especially complex situations are better off with a professional accountant, most of us do just fine with the help of tax software. 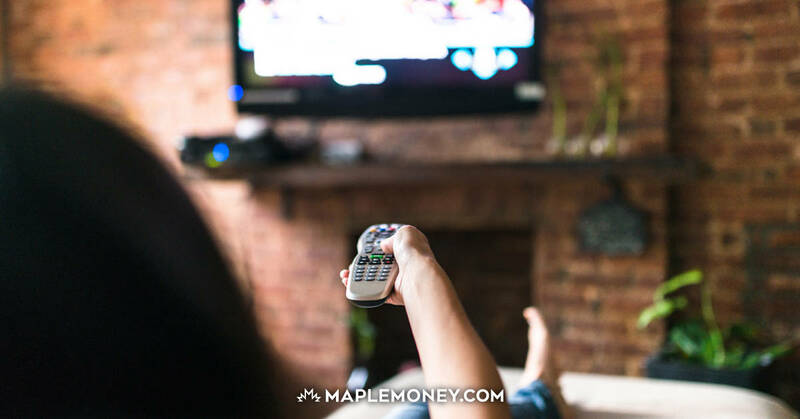 As much as I have recommended TurboTax for preparing taxes in the past, I think it’s important to know about other options that might serve you better. There is another well known program that has been gaining momentum. 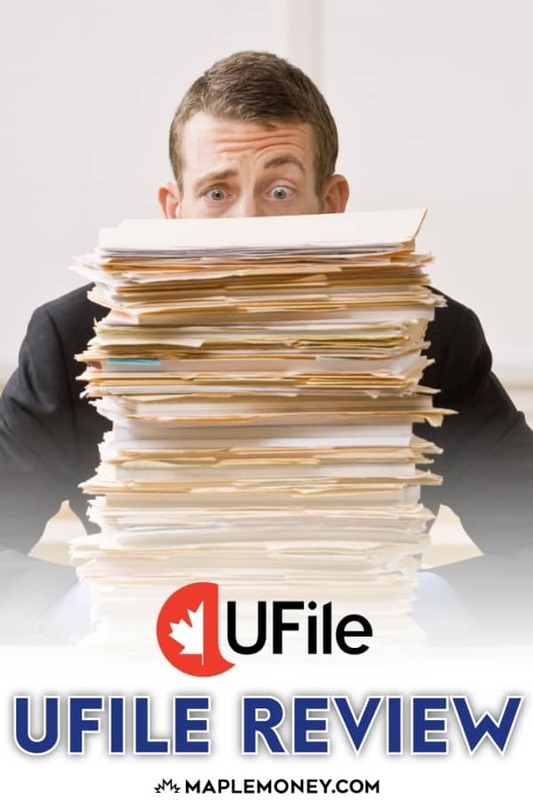 UFile is a serious contender in the Canadian tax preparation market, and it’s one that I recommend as the #1 tax prep software. I like that UFile automatically gets you the tax credits you should have coming to you, without the need to fill out a lot of extra forms or answer a lot of questions. UFile is updated regularly so that it includes the most up to date information from the CRA, so you don’t have to worry about missing out on what you’re entitled to. The interview process in UFile works well, although it is not quite as comfortable to use as the TurboTax interviewer. UFile also includes the MaxBack Refund Analyzer, which looks at the whole family to best suggest deductions, credits, and pension splitting. This is a great feature that can help you figure out how to file your taxes in tandem with your partner so that you get the best possible tax refund. The process works well, and you can save information for later, if you need to. UFile is secure and safe, and has been around for more than 15 years. You can also use information from last year’s return in this year’s return to speed up the process and make it a little bit easier. UFile also supports the import of desktop versions of H&R Block and TurboTax, so if you are switching tax software, it’s possible to enter your information quickly, without the need to add it manually. UFile also offers customer support and options for contacting professionals who can help you answer questions if you get stuck. It’s also worth noting that UFile is certified for NETFILE, so you can submit your tax return electronically, increasing the speed at which you receive your refund. This is something that is increasingly important as more Canadians go paperless, and as our society looks for more in terms of quick results. UFile’s biggest strength is in the pricing. While there are free tax programs like StudioTax and SimpleTax, you may be willing to pay for a more polished and user friendly product. UFile is valued only $19.99 for four tax returns, while TurboTax Standard charges $34.99 (although you do get eight returns). UFile’s cost effectiveness becomes even more apparent when compared to higher versions of TurboTax, many of which add features that are in the one version of UFile. The fair pricing for UFile is based on the online version, which starts at $17.95 for individuals. You can add a spouse for only $10, which makes it relatively inexpensive for you to file your return online. TurboTax Standard online starts at $19.99 per return. You can see that, already, you have the potential to save more money with UFile. One of the nice things about UFile is the fact that it is pretty straightforward, with fewer versions and pricing options. There is a UFileT2, designed for corporations that need to file a T2, for $129.95. If you don’t need to file a T2, the online or desktop versions of UFile can help you report self-employed and investment income on your T1. You can also access UFile PRO, which is designed as professional tax software, starting at $129.99. This is ideal if you need to file more returns, and save money. There is also the UFile Free offer, which is free if you have a simple return or are a new filer, a student, or have an income of less than $20,000. If you add dependents that fit these requirements, you can add them for free as well. This is a nice touch, since some tax preparation software programs will nickel and dime you for every little form or dependent. If you have a simple tax return, consider using this program from UFile to save money on your filing costs. You get the benefit of help preparing your tax return without having to pay anything. This is useful for new filers as well, since they won’t have to pay. It’s a good way to test out the program and decide if you like it. UFile is my #1 recommended Canadian tax prep software. If you have especially complicated taxes, you might want to consider hiring a professional instead of using tax software at all. Many consumers find that UFile is a great choice because of its easy product offerings and low prices. Even though I think TurboTax is a solid program, UFile is my favorite Canadian tax prep software, and I highly recommend it. I’ve been trying to decide between UFile and TurboTax. It sounds like I’m going to go with UFile based on the information here. Thanks for the review! Do not use ufile. I have used it for years, but they have completely changed their software and it is absolutely awful!!!!! The 2015 version of ufile online is TERRIBLE! The changes to the online format make it impossible to use on a tablet or laptop with anything less than a 15 inch screen. Only part of the forms appear on screen with about a quarter of the form not visible, including the boxes where the amounts are to be entered. They had to take a good thing (previous year’s formatting) and turn it into the worst tax program available. Do yourself a favour and try another program. Used UFile for years. Agree, this year horrible. Customer service is non-existant. The Family Tax credit on Ufile Controls very confusing. Tried for days. Still can’t figure out. Buy at own risk. I too have used it for many years and it worked well. This year cannot netfile. For the first time I am unable to file any of the returns I prepared electronically (both Federal and Provincial). Get error that the endpoint binding is not using HTTP protocol or the service was aborted possibly due to the service shutting down. I am new with UFile Online. I bought the family Version thinking that I could do the tax file for my wife and myself seperately. I bekieve that the Family Version is not the one to buy so unfortunately I will have to buy 2 seperate tax report. This was not explain clearly when I bought this version. ALSO I am asked questions re: spousal form question that I have asked before and do not know where to get help. So I asked for help and filled a question form…. still am waiting for an answer after 50 minutes . S now I phoned and am still waiting on hold for the last 20 minutes. This is a very bad choice for tax report. In Canada, you usually prepare husband and wife returns together, so that you can make best use of deductions. Although they are filed as two separate returns, you must show the spouse’s name, SIN and net income on the other spouse’s return. As best I can see, it is 17.95 for the head of the household, plus 10.00 for the spouse. Hope that helps. into the garbage. I picked up turbo tax and completed 2 returns in an hour. One serious error occurred in filing. Ufile failed to pick up the data that I had entered for one of our T5 slips. Fortunately I found it after I net-filed (which worked very well for our two returns) and I reported it to CRA with no complications. The program was not as user friendly as it had been in previous years. Here we are in August 2016 and every time I start the wretched program it still needs to update before doing anything for me. There are other nasty quirks in it too. Will I use it again? I am investigating others and hope that Ufile becomes just an unpleasant memory. I’ve been using Ufile since 2005 and last year’s changes were the absolute worst. I don’t know what they were thinking. It’s crap! I too have been using Ufile since 2005. Since Thompson Reuters bought it has been getting worse. Now it is Crap. Have used ufile 10 yrs but this is last year I’ll use it. Trying to Netfile a few returns that were rejected with a weird message… CRA confirms its software issue. I have tried reaching ufile using their [email protected] but no reply! There is no phone number that I can find… I’m not the 1st person that has has this issue of getting a weird message when trying to Netfile. Terrible… Actually NO customer service from ufile!!! I’ve used TurboTax and UFile online and I actually find UFile easier. Tax time is fairly easy for my wife and I (one job each, RRSPs, Charity Stuff and thats it) and it was easy. Be warned: You will still have to figure out whether or not various Lines apply to your situation and for that you will need to call Revenue Canada. Then there is the problem that for a lot of the questions UFile doesn’t tell you which Revenue Canada Line it relates to, so it becomes very difficult to figure out which questions apply to you. That is not the biggest problem. Their customer service is terrible! So far, after two days trying to resolve one problem, there is no customer service by phone, despite them advertising that this can be used when there are problems resolving things by email. And their instructions in their emails are not specific/detailed enough to be useful, do not show that they have bothered to listen to your description of the problem and they take HOURS to reply, if they reply at all. As the emailing isn’t working, I have been asking them again and again to phone me to walk me through a solution, and they just ignore my requests. At least Turbo Tax has a phone line for customers! Obviously mileage will vary but I have to disagree with you regarding their customer service. I have been using Ufile online for the last 10 years. Each time I sent them a question via their support, they have always responded within 2 days giving me the answer I needed or telling me what I needed to do to fix my problem. Last year we emigrated so this year tax is a bit more…taxing! I ended up exchanging many emails with them and once I understood how the program worked I eventually got it right. I even had a phone call at the end from one of their senior support (Hello Caroline!) to make sure I was all good. Really I can’t fault them. I Agree the absolute worst customer service in 25 years of dealing with Web, and software companies – this is the absolute WORST! If you buy a product, you should expect to have some sort of customer service that you can call for help…..Not here! unless you want to wait 3 months to get an automated computer generated response. i have used ufile with netfile for several years and found it a good program. for the first time i have problems and find their support stinks. i cannot hyperlink to the cra for netfiling. all communication is by e-mail and all they do is repeat the netfiling procedure. Definitely don’t like this new format. Very confusing when entering T Forms etc. and hard to do a check afterwards to make sure all entries were correct. Don’t feel very confident about the way it handled income splitting this year (2018). Review screen took forever to load and was really not very useful. May try Turbotax next year or pay to have them done by someone. UFile’s support system sends an intuitive, immediate, automated response. Usually that response provides the answer you need. As apparently this one does not, please reply to that email and a human response will be gladly provided. UFile’s support has been given a bad rap in the past. It is now functioning extremely well. Also, there must be some misunderstanding, as our link to the CRA site works perfectly if you are eligible for NETFILE. How can you say the customer service is good now? I have just wasted over a DAY trying to resolve a problem and I just get emails with irrelevant and unhelpful information, and instructions which lack enough detail and specifics to be useful. Despite all the time I have invested in this I am considering starting all over again with Turbo Tax, who have a phone line for customer service. So far, it appears to be a lie that UFile customer support will phone you when emailing isn’t resolving a problem. After 5-6 years using UFile I think it is time to abandon the product. Why? Because CRA officer found a bug in the software and no one from UFile bothered to answer several of my emails (no phone numbers). I only wanted explanation why software acted the way it did. It took me and CRA guy 1/2 hour to figure it out. But still I don’t know why. Also, still waiting for any feedback from UFile. Poor, very poor customer service! This Ufile Tax programme is absolutely crap!!! I’m stuck to this interview process and hate it. Can’t even make simple changes or additions. I’ve used Ufile 3 years ago and now know why I switched. DO NOT PURCHASE, unless you want a lot of grey hair and I have a lot of returns to do. Thanks for the review of Ufile. Can Ufile split income from joint accounts and attribute to each spouse when filing jointly? I have found several years of using TurboTax that data has gone missing. I lost all my entries for min and wife’s taxes this year fter clicking the save menu option. I am starting all ever and wondering about changing products and egtting my oney back. After all the errors other years I swear I will not buy TurboTax again but here I am sgain! Paper and calculator is faster than trying to figure if all the hidden stuff was dne right again. After purchasing your program on-line my husband found out that this tax program is not compatable with the one he used last year. Lots of information will have to be re-entered etc. and some info might even be missing. What can we do? If it really doesn’t work can we get a refund? There seems to be a problem with Scedule 12 Home Improvement page. Their Help page? It is Use-less; confusing! Can anyone say where their HELP (less) centre is located? I received several respose-emails asking for ME to clarify the problem. What do they NOT understand about: YOUR SCHEDULE 12 PAGE DOES NOT WORK!! FIX IT!! John, you can contact the people at Ufile here. They may be able to help you out. I’ve used UFile for many years. Until this year, I’d only ever had one problem (a minor miscalc which was later resolved). My experiences this year however have been absolutely horrible. I took up an early payment discount offer in Feb but when I went to file online during tax time, there was no credit on my account and I was asked to pay again. I sent multiple emails (the only way you can contact UFile) over a week’s time to request some assistance, but I never heard back (aside from a useless auto reply). My only option now is to pay again or redo my taxes and file elsewhere. Will have to try TurboTax … looks like you get what you pay for. UFile has a good program but really poor customer service if there are any issues — not a good mix for something as time-sensitive and important as filing your taxes. I do tax returns for self and several family members each year. Purchased UFile for first time this year. Input return but software did not perform calculation or save data. Problem repeated, a frustrating waste of time. Email to Ufile got back an autoreply with 10-15 suggested solutions, none of which was relevant. No helpline. Purchased Turbotax, worked like a charm in comparison. Purchase of UFile was a waste of time and cost that in the end was worthless to me – as far as I know I can’t return it. Received email survey today from Ufile. Went to complete and was told survey was full. I will stick with Turbotax which works for me and would recommend that program over Ufile, notwithstanding Turbotax costs more. Just a quick update to my rant. I eventually did hear back from UFile. It took some time and a number of emails, but they did apologize and ultimately provided a more than fair resolution. Good for you! Over past 3 years sent in email each year. Over and above that the so called solutions do not make sense at all, I have to wonder if they even read questions before clicking on “paste and answer” which of course is a script which as all of the above have received and makes no sense at all. Each time I provided name 3 tel numbers, but no call. Yours will be the first that I have heard any positive outcome for their solution. I just warm all Do not bother buying this, it is not user friendly at all with no support! And of course we realize they are should not be providing suggestions etc. But I needed help with the way guile was asking questions about car, cca, etc I needed to know what they meant by question since they changed it from year past. But again the so called HELP question mark links you to CRA! I would love for all corporate at guile try to get family member to do an actual tax year with program! Then they will have done the proper research needed for intuative program. Not just an IT person going through motions. it’s all wrong with this program! I don’t think you wanna trust UFile. I used UFile this year. My return was re-assessed and CRA said my return was wrong and I have to pay a fine. I’ll definitely stay away from it next year. My return was also reassessed by the CRA, as UFILE incorrectly calculated my refund… I did not have anything complex – standard T4 and RRSPs. They don’t fine you for a mistake. Your post is exagerated. They do fine you for a mistake. They charge interest on mistakes. Penalties are charged when you file late (and owe them money) or you purposely don’t include all your income. Don’t assume that UFile is the problem. CRA messes up too and there are times when all my information wasn’t transferred when I netfiled. This has happened to me using both QuickTax and UFile. They will most definitely fine you for a mistake!!! With interest added! I’m never using Ufile again. I’m getting nothing but problems being found by CRA and it’s going to break me! My sister’s income tax was also re-assessed. The software made claims automatically, which shouldn’t have. Now CRA accuses her of lying and ask to pay penalty. Ufile customer support doesn’t help much (very frustrating). Do you know of any agency that can help in cases like these? I have always used Quicktax/Turbotax for more than 10 years. This year, I decided to try UFILE as it was cheaper. I completed my husband’s tax return and was disappointed when a message said he is not qualified to NETFILE. I have always netfile my family’s tax returns. I’m going back to using Turbotax. UFILE was a waste of money. I found my Ufile experience totally unacceptable. I’m a software engineer and understand computers. The form filling works but NETFiling does not. It does not save the return in TAX format, so I can not get past that point and NETFile it. My hubby and I both file separately, so we each paid full price to file, but when it came to download and save our file to netfile, it wouldn’t save, Ufile has no phone help line, and we had to beg to get our proper files emailed to us. I did, hubby is still waiting… asked for a refund, no response. We wished we never used it !!!!!! UFile will not calculate when RESULTS is clicked on. Sent request on a Tuesday, finally got a reply on Saturday which was useless, and still program is not working. Extremely frustrating when problem cannot be resolved. Here is answer I got. “We’ve increased the calc timer to 120/140 seconds. Pension income splitting + Foreign income which will currently exceed the threshold. I would ask you to try again and let me know the results. What does one do to make these people accountable? I have used both ufile and turbo tax to file my tax return. I found both are equally good. However, utile is much cheaper than turbo tax. I do not see any reason why using turbo tax over ufile. From now on, ufile will be my tax return software. I agree with you! I used TurboTax in 2003 and 2011, and UFile in 2004-2010. Never a problem when instructions are followed. I found TurboTax somewhat cumbersome to follow. It’s UFile for me from 2012 to now! The difference between the two programs is that when you are up at 11:00 pm and it’s tax deadline in an hour, you are sure going to wish you went with program who had a telephone number for customer service. U file does not explains what ‘they’ want in cells. I emailed them last Saturday about seniors crdits, in the property tax area. Of course have yet to hear back from them. Next year I will definately make the change. If you have any expenses to declare, or via, far, own a hone and have rebates, don’t bother!! I second this. Utterly useless to non-existent telephone support. I gave up after 2-1/2 hours waiting on hold. First they encourage you to look at online information, then they make it impossible to find a phone number if you have a special case (like mine). Then when you acquiesce and fill out the contact form, you get an email with tons of links to more static online information (that you were already directed to on the support site), and way at the bottom of the seemingly endless email, you’re given a “last resort” phone number for special cases. I called the phone number, and I found it interesting that the waiting soundtrack loop STARTS immediately with “we apologize for the delay…”, as if they simply know it will be a long time and they want to bleed you dry of any patience. Well, it worked, and now I am going anywhere I can to write negative reviews about their complete lack of support. I want my money back so hard. Good grief! Anyone who is connected to a computer can download a great easy to use product called “Studiotax” FOR FREE! In downloads and installs in 10 minutes and you can have your taxes done perfectly in about a half hour or 45 minutes. If you feel bad about using the product for free then you can donate a few dollars to them. There are no ads in the software and it works flawlessly.  I am using Ufile Pro to file the return for small business and investment this year. I find it especially useful when you have rental properties. Instead of giving $100 for each property you own to accoutant. You can do it easily with Ufile. You need to do some book keeping yourself though. I’ve been using UFile for a few years now, and switched to the online version this year. Didn’t really notice any difference between the online and standalone versions. I only switched because the online version is free for students, which saved me $20 this year. But if you are from Ontario, be very careful with UFile’s handling of the Ontario Trillium Benefit!! It is not a straightforward process if you are filing for both yourself and a spouse. The first time I filled out the interview, I actually realized that UFile wasn’t filling out the Trillium Benefit forms at all. I do not have an encouraging experience with UFile online. All the data that I had entered over several days/hours are no more accessible. The help desk of the company is also very slow and inefficient in problem solving. They even asked for my permission to access my personal data. Unwillingly I gave them the permission. Yet nothing has materialized yet. Would I be inclined to use UFile again in the future. Certainly NOT. Particularly if they continue failing to provide me with a link to my own tax data over the next few hours. I had been using Ufile online for a number of years. This year I changed my username and e-mail address and could no longer access my account. I contacted Ufile a number of times (via e-mail as there is no phone number available) over many days and finally gave up trying to get a helpful answer. I have moved on to Studio Tax, it’s free and easy to use. It doesn’t have Maxback feature but it’s not difficult to change scenarios and see where you can get the maximum benefit. Ufile customer service stinks to high heaven. I will not use this product ever again. Out of the three T4As I filled in interview section, only one made it into the tax results. I got dinged by CRA for not reporting the missing T4As and Ufile kept sending obtuse responses refusing to accept liability as per their guarantee. Use any other product but this one. UFile calculated incorrectly pension income as credit. CRA reassesed and I had to pay back $2000 + interest six months later. Sounds like you claimed the $1000 pension exemption for 2 people? which can only be claimed if you are 65. Ufile does this automatically if your birthdate is entered correctly. I have been using UFile since 2009 and found that it did the job. For this tax year I can not find UFile at Best Buy or Future Shop. I can order it on-line but UFile wants to charge for shipping. Not worth the hassle when I can pick-up TurboTax at Staples for $20. Also, ufile seems that they mail a copy for free which I received without ordering, probably only for their past customers. You can download it without extra charge.. the shipping is only if you need the CD.. who need that any way? I have been using Ufile for the past 10 years, and No issues what so ever at all.. for those who think that ufile does not calculate it correctly, I would suggest that you fill-up the same information on the online version of turbo tax and compare if the values are the same. if it is, then why pay more for turbo tax or others if you can get the same value from ufile.. at the start i used to compare ufile with turbo tax or even with actual tax filing service personal that you find in the mall, and I always found the I get not just a better value, but also better tax return (very minor). I never use the online tax sites but want on my computer and I send the disc to my sister who does 3 more returns. I know I could download and burn a disc but WT heck. Problem with TTax is for $20 it will only do T4 and donations (does this include Medical?). Not all the other stuff such as T3 and capital gains/losses, etc. It will also not do ‘Business for Self’ which is included with personal income tax. TTax wants to upgrade you to the next model for $40 and when I looked it up it still doesn’t show it does everything Ufile does for just $20. I’ve not had Ufile make any errors for the 6 yrs using it. If you’ve claimed things like a $1000 pension exemption and then it was disallowed, you should let Ufile handle the input which it does automatically based on your birthdate. Not allowed under 65. Not available yet at the Source or London Drugs but guess it will be. I used TurboTax way back in 2002 (it was QuickTax at that time) then switched to UFile in 2003 although I can’t remember why. UFile was stream-lined and thorough, and most closely matched my experience using hard copies. For 2011 tax year, I switched to TurboTax because I couldn’t readily find UFIle and there was a super discount coupon I had for TurboTax, normally $30 or $40, that matched the same $20 price for UFile. I found the navigation in TurboTax to be very cumbersome. I am switching back to UFile for this tax year because it is easier to navigate, and provided the same or more expertise than TurboTax. I never had a problem with net-filing with either TurboTax or UFile, so in that respect, both are fine. Turbo can’t touch the price because the basic doesn’t do what UFile does as to other forms of income. One thing that irks me about a UFile download is that they don’t give you a deal even though they save on a box, envelope, instruction card, shipping and profit for the retailer – ???? Seems kinda stupid in my opinion. UFile appears to be a complete farce. The only testimonials are great; no way to submit a bad one. I’ve been struggling with UFILE and a very simple tax return for over 12 hours now. Absolutely no support from EFILE, no responses to email or online questions. It worked well last year but a piece of junk this year with no customer support. After reading all these horrible comments about Ufile’s failures and lousy customer service, I would like to talk to a real customer service person. Do you have any phone number? I have looked at their website and found none. I have already sent emails and no response ever. My issue is that the program does not generate Schedule ON (S12) after you have inputted charges to claim for Ont healthy home tax credits. One user already posted the same issue but has gotten no response either. Please help. Thank you! I switched from Intuit’s tax prep software to UFile back in 2007 and have been using it ever since. I’ve never had any problems to prepare or NetFile my returns. The software does have a couple of irritating bugs, however. If I try to view or print the Quebec barcode page the program crashes. The doctor’s solution is to choose to print a customized report and select all pages except the barcode page. It also crashes when I exit the program whether or not I have a tax file opened. These problems started when I moved to Windows 7 x64 which I have been using since 2011. I am surprised each year to see that they have not corrected them, however, so far I have lived with its flaws. I am curious to learn if anyone else has experienced this as well. As Tom says, I’ve been using Ufile for years – since 2006. It seems that some people have particular problems using the online version rather than the installed software. I always use the software because it’s much quicker and you can play with different allocations of income between spouses. I’ve also had Windows 7 64 bit since Mar 10 and this is my 4th time using Ufile on same. I’ve never had a crash, for any reason. Mind you, Ufile does not run in 64 bit mode. For what it’s worth, I refuse to use Netfile as long as I have to store the original receipts for medical and donations for 7 years!! I file by paper and send the originals to them, retaining electronic copies only. Of course my files are backed up every week onto a separate harddrive. TurboTax is made/owned by Intuit, an American software company (even though there is a “Turbotax.Intuit.CA”. BestBuy here in Vancouver doesn’t carry UFile -they used to but now their stores are full of stands with TurboTax. I have used UFile for many years and really like it the way it lets you minimize taxes between you and your spouse. I prefer Ufile, in my opinion it is straight forward to use. I had previously used Ufile until 2 years ago I mistakenly purchase another brand of tax software and decided to continue to evaluate it. After completing the first tax filing I realized I definitely was using cumbersome software. With 3 more tax filings to complete I downloaded Ufile and will continue to support Ufile. I haven’t heard of Ufile before. It sounds like there are a lot of nice perks. A lot of people just go to turbo tax because they know the name. Its important to actually investigate options. Thanks for sharing this with us! I would stay away from Ufile. Their results are different than CRA’s and i used simpletax this year and the results were exactly the same. I have been a loyal ufile user till this year because I couldn’t find the darn software. It used to be everywhere, like bestbuy and walmart. I was told by one of the stores that turbotax has paid a fee to be the one and only offering. What a shame. I did find out that the Source still offered it but all the cheapest simple versions were sold out. I noticed that the online version charges more for an individual and spouse now than I used to pay…which was $15-19 roughly. We have the simplest of taxes so I ended up going with turbotax. What I loved about ufile was that it would pick up the previous years data on your computer automatically. Guess what, turbotax doesn’t unless you pay an extra fee. With said fee it will pick up any previous tax software data but I was determined to not pay so it took a little longer and I’ll have to wait for my rrsp contribution room data on my tax return statement I suppose. Next year I’ll try to get an early start to find ufile again. It is significantly more user friendly. I used UFile last year, no problems. This year, when netfiling I receive an error message “SOAP extension library not installed”. ” Your netfile has been rejected by the government.” No solution to the problem and you can only contact UFile by email, time consuming when their response does not help and you need to email back and forth. The kicker is my CRA account shows that my tax return has been submitted. Now I’m confused with 2 different messages. Overall a real hassle this year, not satisfied with the product, nor the customer support. Ufile.ca is totally easy and works great. Used it 5+ years running, it saves you from re-entering the boilerplate stuff each year. Don’t believe the haters here – software can’t cure stupidity. My tax situation is moderately complex. The only issue I had was one year I entered some data early in January, came back in february and it was gone. Had to re-enter it. Big whoop. I have used Ufile for the past 5 years and have never had an issue with it. I have for fun done comparisons with other programs to see if there were differences, etc….I have to say you really need to know what you are doing to use the other programs (ie. claiming child disabilities, family tax cut, etc). Ufile does this all for you which is a huge benefit and makes a huge difference in the result if you don’t know what you’re doing in the first place. It is user friendly and has never failed me. I love it and will keep using it! No brainer here!! For many years I’ve used mytaxexpress and I’ve been very pleased with it. This year I am a volunteer providing free tax prep for low income folks as part of the CRA program. CRA provides a copy of UFILE to us. (i.e. they were the lowest bidder I guess!) I’ve done about 3 dozen returns with it so far. The only real problem I’ve had is the one pointed out by “Earth and Money” above. The Ontario Trillium benefit is sometimes not properly calculated for couples. This happens if you mistakenly ask for it on both spouses. Only one spouse can claim. The problem is the warning message directs you to the wrong spouse’s return to fix it, which is confusing. If you understand the rules for Ont benefits, it works, but clearly Ufile doesn’t understand the rules on this one. Also, it will not let you just add a tax form. You have to go back to the interview and figure out which interview question will generate the form you wish to add. In mytaxexpress you can add any form you wish regardless of the interview process. Ufile is OK but it’s not idiot-proof, because idiots are so darn creative! Ufile doesn’t cope with the situation that your employer has included foreign-earned income in your T4 slip as well as Canadian-generated income. Doesn’t generate the T626 form correctly. As others have pointed out, email support is generic and doesn’t answer a direct question. Ended up using TurboTax instead. 2014 online premium version doubled up calcs. spent an hour waiting for someone from the help desk. This applies to both phone or online chat. When I led them through multiple problems the person told me she had to get a higher up to help. I stayed on the phone with her for 1 1/2 hours and finally she admitted that she was unable to help but that someone would call me back to explain what to do. That was 3 days ago. I used TT last year with no real problems. The Quebec portion was even worse than the Federal. It kept doubling various pensions and investments and then showed total income as 20,000 higher on the final review as compared to total income page. VERY frustrating and have spent 9 hours on this thing and am no further advanced. is UFile good? I’ve been using Ufile for a couple of years and have used Turbotax before. In my humble opinion, TT is easier to navigate to new forms but UFile is also simple when you try it once or twice. Can see no valid reason to spend the extra $$$ for TT. I have a Sole Proprietorship. Does UFile handle that? I don’t see any mention of it online and with TurboTax, there are different versions with different functionality so I want to make sure I am buying something that will work. Do I just buy any version that I want? I only need to do one tax return. This is the second year I have used UFILE I experienced problems last year and the way they had given me to fix it resulted in wiping out all of the data I had put in rather than providing a solution to fix the single problem. In the 2014 tax year – the UCC carry forward was wrong, everything else was fine, but the amount UFILE has brought forward was incorrect. I had corresponded with them for over two weeks and they have not given me any solution to their software glitch. I recommend using SIMPLETAX in the future, as I wasted countless hours with UFILE trying to fix a glitch in their system. I do have TLS 1.0 checked in IE. my windows is windows 7 service pack 1.
the last tab, Tax Return, There is a tax return for him for Quebec, even if said No, this dependent does not need a tax return. If I change his birthday from March 1998 to October 1998 it goes away. It looks like the software starts considering him an adult if his birthday is somewhere in the middle of that year (anyway there is a change in the way it treats him). The support from UFile is frustrating. Only through email.. in my case was 1 email per day back and forth with no good outcome. I wouldn’t recommend it to my friends and I believe this was also my last year using it. I use UFile for 10+ years. It was a wrong decision. UFile has developed more as a scam and not as a useful piece of technology. Aside the fact that you have to enter and re-enter ten tousend times passwords and email addresses, if you have forgotten the password to your file, you will not be able to recover. I did not forgot the password, after an update, UFile does not recognize my passwords. Very frustating experience. Customer service is not available in real time. Also, the carry forward did not worded last year, it was CRA that has corrected my tax return. At this point I do not understand how UFile got a certification. Used UFile for a number of years returns ALWAYS came out close. Calculations within this years return not all being done. Paid for. Next year I will consider other software. I have used UFile for the past 7 years and I was generally happy with me except this year in 2015 where the 2015 version will not allow you to netfile if you have a Windows XP or Vista. Minimum is Windows 7. Due to their claim that CRA requires stringent security communication while you netfile your tax return, you can no longer use a Vista or XP machine. I have a Vista machine and the tax I could netfile using UFile was 2014. Suffice to say, I was not very happy with it. UFile suggested to file it online for free, but applies only to simple and low income individual which does not apply to me. Without any solutions from UFile with their slow online response, I went to the CRA site and found that I could netfile for free using TurboTax for my mac. That was another I kept my Vista machine for tax filing. Despite what the reviewer said, I found TurboTax online free version for Mac much easier than UFile 2015. Plus, it got me the same refund as UFile. And net filing was also very easy too! Fast and checked my Account at CRA website and it confirmed received. I will be filing with TurboTax free online for the Mac from now on. Why pay UFile. I felt dumb when I realized an alternative! Ufile customer care wont even reply. I have used Ufile for many years without any problems. This year for the first time I am unable to file any of the returns I prepared electronically (both Federal and Provincial). Get error that the endpoint binding is not using HTTP protocol or the service was aborted possibly due to the service shutting down. Forget about support when I send email for support all it does is send me links of what to do. The SW is up the date that is the 1st thing I checked and I have no errors for the taxes themselves, they are good to submit electronically. Will have to print everything and mail it. Very disappointing. I like Ufile and have used it for myself and several family members for many years. This year they introduced the Autoload feature that allowed me to download all the information slips which saves a lot of time and ensures that you don’t miss any forms. The one issue that I had was with the download of the T5008 data capital gains got loaded as investment income which is taxed differently than investment income. REJECTED; THE UNDERLYING CONNECTION WAS CLOSED; AN UNEXPECTED ERROR OCCURRED ON A RECEIVE. I contacted CRA and they said the problem was with UFIle After reading other complaints I see UFile does not work with Vista which I have. I have emailed [email protected] last week but have not received any reply. One of the complaintants suggested I could do my taxes through Chrome Online. Is this true? Please Help! I have been trying since the middle of March and am going on holidays next week. UFile running on your own PC requires Windows 7, or 10 because it has to support TLS 1.2 (a security protocol for online communications required by the CRA.) Vista does not support this. UFIle’s website lists no such restriction for UFile Online. Presumable if you can get logged on to their web filing system you should be OK, but it means you are using a less secure protocol. Whether that is a concern is up to you. For UFile Online, it sounds like the UFile system communicates to the CRA, rather than your own PC. (I could be wrong there.) Here’s what they say…. I’ve used UFile for many years and really liked the software. The current year’s experience with the on line version does not live up to prior years. Many of the problems faced by responders above are mine, namely 1) change in the layout of the input and form is not very user friendly. 2) had a problem finding Step 5 on my iMac and no quick fix response from the service area. 3) speed of the software has deteriorated, obviously with the increase in number of people going on line based on the above. 4) the server seemed to have crashed last night, again, probably due to the volume of people on it. i’ve been using ufile for several years and haven’t had any problems until this year. When I look at my tax return on Ufile it shows everything as entered. Spouse incomes, etc, child care expenes applied to correct spouse, usings used RRSP entered correctly. I get a 19K return and my jaw drops. There is no way that could be correct. My husband gets a letter from CRA asking for receipts for 100K of RRSP’ purchased. Shows that he is expected to get a 47K refund. Something is clearly wrong. Review everything in Ufile, everything is all good. I call CRA and they advise that my income was reported as 0 on my spouses return and vice versa on mine. I once again review my ufile return and the income is entered correctly. The RRSp are entered correctly, i selected to not claim the spousal amount yet everything received at CRA through Netfile is incorrect. I’ve spent 3 days trying to correct everything. Clearly there are some major glitches with this year’s version. DO not recommend. Take look way down the income tax form to the “Federal – return record”. It’s just before the carry-forwards page, and after the marginal tax rate pages. That should show you what UFile has for each line that it submitted in Netfile/Efile. Might that help you trace back this problem? I’ve been using Simpletax for the last few years and like it a lot. I pay them something for each of the two returns I do. Haven’t tried the others so I can’t compare, but Simpletax really is simple. I agree with some of the comments that has been posted here. I have used Ufile for years because I do both my wife, myself and two relatives income tax all for 20 bucks. To me it was a real bargain and the program worked well. I don’t know what they were thinking but the changes to this year,s version is without a doubt the “ugliest” changes I have ever seen. Forms that were readily available before you have to keep going back to the “interview” to find and you really have to hunt. Form numbers would be a real advantage in the help screen and than you can click on the form number and go to it. The views are such that one page is on halve your screen. I like to see the entire picture on one screen. Using the preteen version caused me to miss stuff. I don’t know if they have “focused group” this new version or market tested it but it looks like in their quest to “simplify” it and pretty it up have dumbed it down to at the point that I will not be buying it next year. I did send them feedback in an email with no response. Bottom line, the messed up. Try again. I used Studio Tax this year, previously I used UFile. seemed to work ok, data entry easy. Not quite as nice of printed copy as UFile, but that’s not critical. I’ve used UFile.ca in the past for personal returns, no problem. This year I used Ufile Online for a Canadian corporation T2 return. There was almost no help in the application nor online, nor any community discussion about issues. I became non-resident during the year, and I could not discover that UFile generated my return incorrectly until after I paid. I had to modify the generated PDF manually, and could not e-file. I just got reassessed for $1200 including interest because this crappy software didn’t move my T4PS Box 35 to line 104 “Other Employment Income”. I also had trouble with the return counter counting my kids small income returns this spring so I couldn’t do the last return I wanted to do. I guess I’ll go back Turbo Tax even though I had a bad experience with them when they were called Quick Tax and reduced the number of returns one year from 6 to 2. I just had the same reassessment re: box 35 T4PS amount not being included on the line 104 …and also charged interest…this was quite a surprise and I am no longer planning to use UFILE as this is a horrible result. I just got the same reassessment error regarding T4PS (box 35) and missing 104 from ufile. I’ve been using ufile for a long time and I got this type of error for the 1st time. I logged a complaint to them, hopefully they will fix it next year. Have used UFile for a decade with good results. As others here have said, the 2015 version is a disaster. Two T-slips entered in the interview section did not properly copy over to the return. Nor did it accurately split Investment income. Run away, run away, run away! I used ufile for years and last year for 2015 tax year and I had to pay for it twice. I bought it online but could not get it to download. So I had to purchase another copy at a local store. When I emailed them I got the useless auto response, and nothing regarding my online purchase. The 2015 interface was also the worst of all the prior years versions I used. Ufile is a terrible program and it’s extremely frustrating to have no phone support. Had multiple problems already described in other comments. Will NEVER purchase again!!! I do not understand how so many people complain about uFile. I have used it for 10 plus years, efiled every year and had no problems. Usually, if netfile doesn’t work, it’s because of input errors. I had some difficulty with the new input screens in 2015, but once I worked with it my program worked flawlessly. It’s a good program, priced right and it does the job. Hi Eddietel…have you had this problem: I am using ufile 2017. I installed it and the income tax screen shows a red line through it…and no income tax return to review my file. The left hand is showing the schedules and etc but no showing of the income tax file at all…but it tells me refund or what I owe. If I go to print or save to pdf it shows up on the printing of it…but you look at the actual income tax tab nothing. Anyone else having these problems. I can view my 2016…but not my 2017. I brought the first cd back stating it was defective….but this new one still does the same. Not very happy. Are there any fixes out there. I have to emailed the support…no flippen word back. Maybe I will just bring this one back and buy a different type of software? I am using ufile 2017. I installed it and the income tax screen shows a red line through it…and no income tax return to review my file. The left hand is showing the schedules and etc but no showing of the income tax file at all…but it tells me refund or what I owe. If I go to print or save to pdf it shows up on the printing of it…but you look at the actual income tax tab nothing. Anyone else having these problems. I can view my 2016…but not my 2017. I brought the first cd back stating it was defective….but this new one still does the same. Not very happy. Are there any fixes out there. I have to emailed the support…no flippen word back. Maybe I will just bring this one back and buy a different type of software? I just purchase the 2017 version based on it’s support for Mac. However, even though I have Wine it won’t run. I went to Ufile website to access their “phone support” which they advertise, however no such service exists. Just email and wait. I am now trying to get my money back, see how that goes… My recommendation if my decision was based on trust and choosing paper in this case, I WOULD CHOOSE PAPER than to now trust. Terrible! The PC version seems to be worse every year. The windows are never completely visible, the numbers are very pale blue on white and the scroll bar is hardly visible.